Every now and then, the Illinois Citizens Utility Board (CUB) likes to bust loose. What does an organization with its collective nose stuck in a pile of utility rate filing papers do for a laugh? It sponsors a name-your-favorite-energy-song contest. A few years ago, CUB asked readers of its consumer website to vote for their favorite energy-related tunes of all time. Eddy Grant's "Electric Avenue" took the prize, but there were some great oldies in the top 10 including: AC/DC's "High Voltage," Debbie Gibson's "Electric Youth," Journey's "Lights," and, of course, Teddy Pendergrass' smooth paean to love and energy efficiency, "Turn off the lights." This being Spring, perhaps it's an appropriate time for some reflection on Teddy's themes of love and energy efficiency. Well, maybe mostly the latter, since we are talking about community banks here. Turning off the lights is actually a wise piece of advice when it comes to conserving energy. Bank office interiors are bathed in electric light during prime and expensive daytime energy usage hours. Making sure to turn off lights in rooms that are not always in use - meeting rooms, break rooms, bathrooms and storage rooms can help shave some kilowatts off bills. Motion sensors that automatically turn lights on and off are helpful in regularly used rooms like bathrooms. In other rooms, encouraging workers to turn off lights when they are the last ones to leave can also be effective. Turning off lights is among a number of energy-saving strategies a bank can employ to not only save money but also to improve its carbon footprint. Doing this and marketing it can also improve your image with environmentally sensitive customers. Even if some cost savings are small, the ability to boast about taking steps to conserve energy can be valuable in winning customer loyalty - particularly younger customers. Energy and cost savings can vary widely depending on location, building design, and individual utility pricing. Big initiatives like installing solar panels or adding wall and ceiling insulation are capital intensive and demand rigorous analysis before being undertaken, but they should also be on the list. There are also lots of smaller and relatively inexpensive projects that can make a difference. Benchmarking current energy use and expense is a good way to quantify the impacts after changes are made. A single change like turning off lights in underused rooms might be small, but when combined with other changes over a number of branch locations the savings can start to add up. One of the biggest branch energy costs is cooling and heating. Using smart thermostats that either turn off at night or run at a lower level is one strategy for saving energy. Another is to adjust the temperature by a degree or two during the day. Experimentation might be needed to find the right level for both comfort and energy savings, but keep trying. Finally, changing air vent filters regularly is important. You may not know it but improved management of heating and cooling can save from 5% to 15% on energy bills with minimal investment. 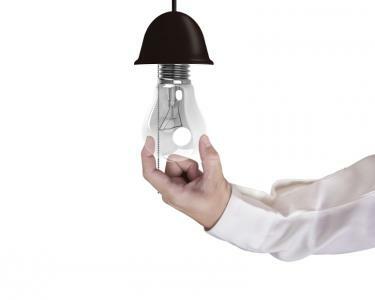 If there are any incandescent bulbs used in the office, swap them out for newer energy saving bulbs like CFLs. The new bulbs are more expensive, but pay for themselves over time depending on how often the lights are used. Illuminated exit signs that are required on many commercial buildings and run continuously can be swapped for LED signs that cost as little as $4 a year to run and can last up to 25Ys. A little effort and thought can help a bank boost its energy efficiency and save some bucks. It can also help enhance the brand image and boost customer interest perhaps. To get started, we suggest following Teddy's advice and turning out some lights. Yields dropped 1bp following less-than-stellar Retail Sales data. Market research firm Reis Inc. reports the national vacancy rate was 4.5% in the first 3 months of this year. Meanwhile, apartment research company Axiometrics Inc. reports average rents climbed 4.1% to $1,248 over the same period. Both data points indicate the multifamily lending sector is slowing down, so bankers should monitor this closely in coming months and quarters before issues develop in the lending book. The FBI reports cyber scams where fraudsters impersonate company executives in emails successfully stole $2.3B from Oct 2013 through Feb 2016. Bankers should continue to alert business customers of the scam and tell them to train employees that random emails requesting money transfers from the CEO or other executives are likely fake and should be triple checked with other methods to ensure legitimacy. A training exercise at BB&T has led to an employee lawsuit, after employees at a branch were held hostage by a pretend robber using a pretend gun. The training reportedly led to emotional distress and post traumatic stress disorder for some of the impacted employees in the branch. We would not advise bankers to copy this exercise. CFPB director Cordray said he does not believe it is appropriate for financial technology startups such as marketplace lenders and others to gain an advantage "because they are arbitraging the regulatory system and do not take seriously what the banks and regulated institutions have to do". He said such firms should be treated the same way as financial institutions.